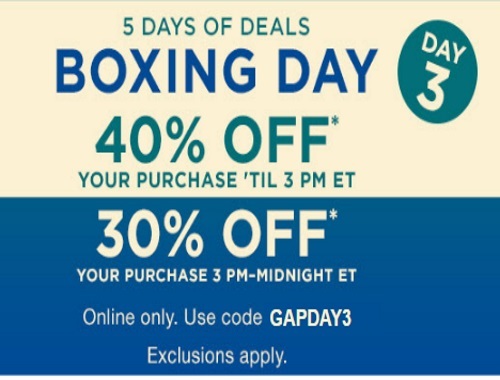 Gap has their Day 3 deal for their Boxing Day 5 Days of Deals today! Enter the promo code GAPDAY3 at checkout to get the discount. Offer is available today only, Wednesday, December 28, 2016.